If driving is your business, trust navigation that’s in it for the long haul. 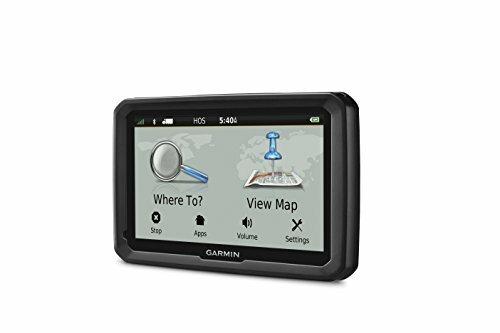 The new Garmin dēzl 770LMTHD truck navigator feature a 7” glass display, lifetime North American maps1, free lifetime traffic avoidance2, custom routing3 for truck size and weight and road warnings (like weight limits and bridge heights). The dēzl 770LMTHD has a Truck & Trailer Services Directory and points of interest highly-rated by truckers, including hotels, restaurants and parking. Bluetooth technology lets you call hands-free; dēzl 770LMTHD also works with a Bluetooth-headset (sold separately). Spoken Garmin Real Directions guide like a friend using landmarks and traffic lights. Easy Route Shaping lets you easily change your route to include preferred roads or cities, just by touching the screen. dēzl 770LMTHD is compatible with the Garmin BC 30 backup camera (sold separately), so you can see behind you when you move in reverse.